New Delhi: Global corporate honchos said an “impressive” jump in India’s position in the World Bank’s ease of doing business ranking will encourage investment in the country including in the food processing sector. The recent policy initiatives including demonetisation and GST are driving a positive overhaul of the economy, said the executives from Nestle, Unilever, Metro AG and Tata. Speaking at the inauguration of 3-day World Food India, Nestle Chairman of Board of Director Paul Bulcke said top priority should be given to investment in building agriculture capacity amid challenges of scarce natural resources, rising population and growing food demand. Ensuring safe food should also be a priority, he said, adding that the company has set up a Food Safety Institute in India with an aim to support and strengthen food safety environment in India. The pace of development has been impressive in the last few years, Bulcke said lauding the government for improvement in India’s ranking in World Bank’s report on ease of doing business. India has jumped 30 places to rank 100th in the World Bank’s ‘ease of doing business’ ranking, sending the jubilant government to vow to continue reforms that will help the country break into top 50 in coming years. “This (jump) is impressive and will encourage investment,” Bulcke said. She said rich agri-resources in India create an optimal opportunity to scale up the processing industry here. 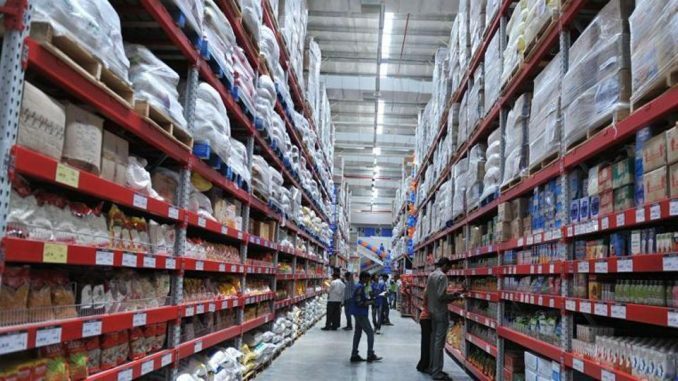 Metro AG COO and Metro Cash and Carry CEO Pieter Boone said the recent policy decisions to improve ease of doing business coupled with demonetisation and GST are now driving positive overhaul in the economic environment. This changing environment is boosting prospects for retailers and wholesalers like Metro, he said. “Metro is convinced of India’s potential. We are excited to join, explore opportunities to empower India’s food economy and we are thrilled to be part of this journey,” he said. With a population of 1.3 billion people and strong international demand, food processing is an extremely attractive ‘Make in India’ opportunity, he said. However to bring manufacturing units and world class technology and hygiene, the government could place a positive role by creating a certification system that can only recognise manufacturers who have achieved world class standards, he suggested. Tata group will continue to invest in technology and resources in a growing food processing sector, he added. The three day World Food India event was inaugurated by Prime Minister Narendra Modi. Latvia Prime Minister Maris Kucinskis and Armenia President Serzh Sargsyan as also food and agriculture ministers from Italy, Germany and Denmark were present at the event.